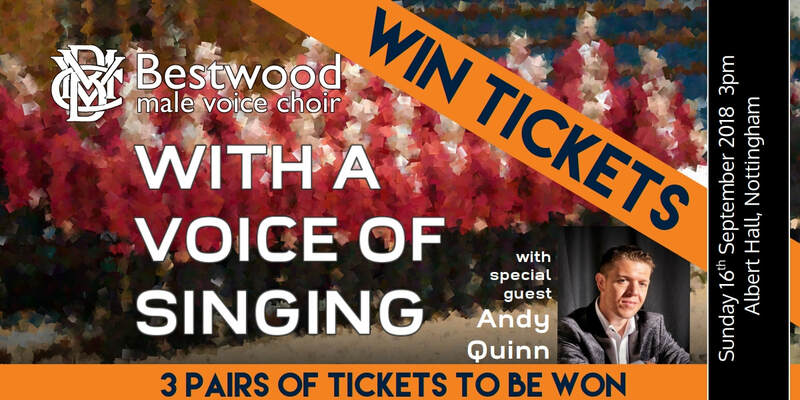 We would love to see you at our gala concert, "With a voice of singing" in September. To have a chance of winning a pair of tickets, simply answer the question in the form below. Entries close on 31st August and the three winners will be informed on 2nd September. - Winners will be contacted by email or phone. Fill in your preferred method. - Competition not open to Bestwood MVC members. - The three winning entries will be drawn at random. - No personal details will be retained after the winners have been informed. - Arrangements for collecting tickets will be made with winners after the draw.